NEW YORK (WABC) -- The MTA is re-considering new safety measures at New York City subway stations. The move comes in response to recent incidents involving people being shoved in front of trains or jumping from platforms. Officials are now looking at platform barriers and technology such as glass doors on platforms to help prevent such tragedies. 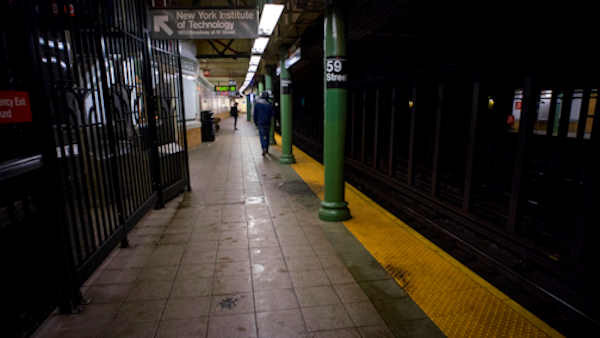 On Sunday, a man was shoved onto the tracks in Chelsea, but escaped without serious injury. Last week a woman was killed when authorities say she was pushed onto the subway tracks by another woman in Times Square. The New York Daily News reports a total of 44 people have been killed by trains in the city this year, either by jumping onto the tracks or being pushed off platforms into the path of oncoming trains. There were 50 fatalities that occurred in 2015. Metropolitan Transportation Authority board member David Jones requested Monday that transit officials look into platform barriers to figure out a cost, timetable for implementation and key stations where they could be installed. The MTA has pushed back against the idea of such barriers in the past due to their cost and potential to slow down service.